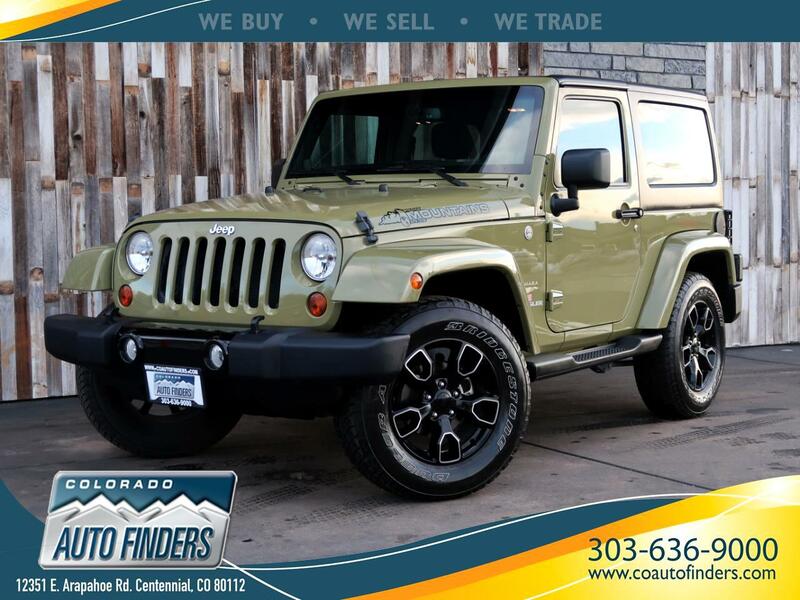 2013 Jeep Wrangler 4WD 2dr Sahara for sale in Centennial. This Wrangler is a purpose-built machine that exudes a certain stark charm. Its off-road skills are second to none and is a veritable mountain goat, ready to tackle whatever mountain or ravine you throw its way! Whether back-roads or driving around the city, you will love this Sahara's features: navigation, Aux, XM, FM/AM, large Subwoofer, 6-speed manual transmission, 4-wheel drive, power windows and locks, CLEAN interior, and the convertible hard-top, stay extra warm in the winters and let your hair blow in the wind on those upcoming warm days!